Mary Bogert is the General Manager for SMG Knoxville where she oversees the operations and bookings of the City of Knoxville’s public assembly facilities. These include the Knoxville Convention Center, World’s Fair Exhibition Hall, the Knoxville Civic Auditorium & Coliseum, and Chilhowee Park & Exposition Center. 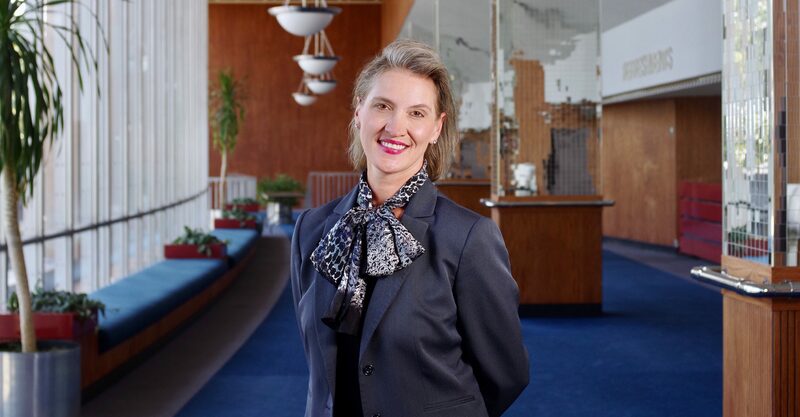 Bogert began her management career in hotel hospitality in 1990 with Hyatt Hotels at its flagship Hyatt Regency Atlanta property and held positions at Hyatt properties in Houston and Knoxville. In 2001, she was hired by SMG as the Food & Beverage Director of the new Knoxville Convention Center where she and developed, opened and operated the in-house service. She became a District Director in 2003, with oversight of six other facilities, and was promoted to the General Manager of the Knoxville facility in 2007. In 2015, she and her team took over management of the other city facilities. Under Bogert’s leadership, Knoxville Convention Center (KCC) continues to be an economic driver for Knoxville and, for the past eleven years, has received the Prime Site Award from Facilities and Destinations Magazine, an honor bestowed by meeting planners in recognition of industry excellence. Knoxville Convention Center was the first in the state to earn the Tennessee Green Hospitality Certification from the Tennessee Hospitality Association and was recognized by the U.S. Green Building Council for achieving LEED Silver certification. Bogert’s focus and commitment is to reduce KCC’s carbon footprint and support the local community via farm-to-table initiatives. Since taking over the management of the Knoxville Civic Auditorium & Coliseum, concert bookings have increased by 60% and the annual operational budget has reduced while the attendee experience has improved. Chilhowee Park & Exposition Center bookings have increased by 40% and it has also has seen a reduction in annual operating costs. Bogert is dedicated to the local community; past board participation includes Second Harvest Food Bank and the Junior League of Knoxville. She currently serves on the Greater Knoxville Tourism Alliance board, the state of Tennessee Hospitality & Tourism board, the University of Tennessee Culinary Arts advisory board, and is a mayoral appointment to the Zoo Knoxville board. She is a member of the Executive Women’s Association of Knoxville and the University of Tennessee Chancellor’s Associates program. Bogert is an advocate for education and serves as a founding member and Vice Chair of Clayton-Bradley Academy. Bogert is a graduate of Leadership Knoxville’s Class of 2011 and was recognized for her commitment to the community by the YWCA in its 2012 Tribute to Women. Originally from Tuscaloosa, Ala., she attended the University of Alabama from 1985 to 1987, and is a graduate of the Atlanta College of Art, where she earned her Bachelor of Fine Arts degree in 1991. Bogert is a member of the Knoxville Area Chamber Partnership, the Knoxville Museum of Art, the Knoxville Arts & Culture Alliance, the International Association of Assembly Managers, and the International Entertainment Buyers Association. Bogert and her husband, Scott, have two school-age children: daughter Jaden and son Nicholas. The family lives in Maryville, Tenn.
We moved here in 2001 and fell in love with the people and area. We enjoy the central location and playing in the Great Smoky Mountains National Park. Of course, my family and I LOVE the Ice Bears! Some of my favorite auditorium shows have been the Knoxville Symphony Orchestra’s Pops Series and Chicago’s Peter Cetera. Tim Conway and Harvey Korman were also great shows and Seinfeld was phenomenal. There are so many, it’s tough to select a favorite! It’s tough to pick just one. With my food and beverage background, I really love the awesome food and beverage choices that are new on the scene. Favorites right now are the Peter Kern Library, Babalu Tacos & Tapas, Emilia, Scruffy City Hall, The Crown & Goose, Shuck, Knox Mason and Balter Beerworks. It changes every month! I love coming into work every day with ALL the staff and regular tenants, including our Ice Bears’ family and the Knoxville Symphony Orchestra! You will be hard-pressed to find anyone who is more passionate about our facilities and providing superior entertainment to the people of Knoxville. Our KCAC family really cares about the patron experience.